Washington D.C, April 15: People with Type 2 Diabetes (TED) should opt for eggs for breakfast, a recent study suggests. According to the findings, a high-fat, low-carb breakfast (LCBF) can help those with T2D control blood sugar levels throughout the day. "The large blood sugar spike that follows breakfast is due to the combination of pronounced insulin resistance in the morning in people with T2D and because typical Western breakfast foods -- cereal, oatmeal, toast and fruit -- are high in carbohydrates," said Jonathan Little, lead author of the study published in the Journal of the American Journal of Clinical Nutrition According to Little, breakfast is consistently the "problem" meal that leads to the largest blood sugar spikes for people with T2D. 7 Benefits of Eating Eggs You Should Know About. The research shows that eating a low-carb and high-fat meal first thing in the morning, is a simple way to prevent this large spike, improve glycemic control throughout the day, and can perhaps also reduce other diabetes complications. Little's study determined that consuming a very low-carbohydrate high-fat breakfast completely prevented the blood sugar spike after breakfast and this had enough of an effect to lower overall glucose exposure and improve the stability of glucose readings for the next 24 hours. 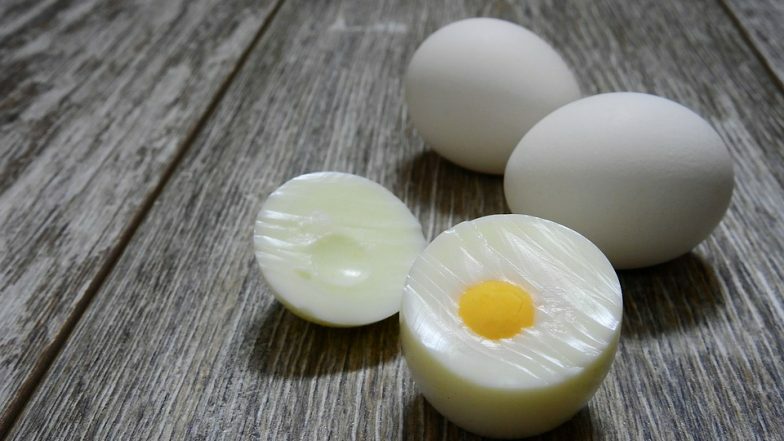 An Egg a Day May Help Reduce Type-2 Diabetes Risk, Says Study. He does note that there was no difference in blood sugar levels in both groups later in the day, suggesting that the effect for reducing overall post-meal glucose spikes can be attributed to the breakfast responses with no evidence that a low-carb breakfast worsened glucose responses to lunch or dinner. "The results of our study suggest potential benefits of altering macronutrient distribution throughout the day so that carbohydrates are restricted at breakfast with a balanced lunch and dinner rather than consuming an even distribution and moderate amount of carbohydrates throughout the day," Little asserted.